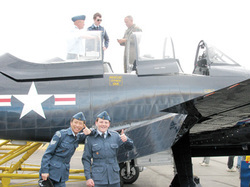 A number of organizations are involved directly in the support, delivery and funding of programs that support Air Cadets. Our squadron maintains a strong relationship with the Royal Canadian Legions in our area. 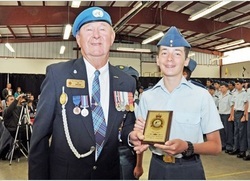 Cadet Samuel Jacobsen, age 13, from the 893 Beaufort Royal Canadian Air Cadets (RCACS) in Parksville worked on the construction of an aircraft wing as part of his Basic Aviation Technology and Aerospace Course (BATAC). Cadet Flight Corporal Jacobsen is spending three weeks of his summer at Albert Head Cadet Training Centre near Victoria taking a course that ranges from watching the rings of Saturn through a telescope to touring the Fleet Maintenance Facility at CFB Esquimalt. Jacobsen, who attends Ballenas Secondary School, has been a cadet for three years. In his spare time, he enjoys the outdoors by mountain biking and hiking and he’s very enthusiastic about cadets. “Most of the experiences you get in cadets you can’t get anywhere else and they are neat and cool. It is a great way to find a career in life!” he said. More than 3,400 sea, army and air cadets are participating in summer training activities across B.C. this summer and even more across the prairie region. ​Cadet Jackson Langley from the 893 Beaufort Squadron air cadets in Qualicum Beach is spending part of his summer at Albert Head Cadet Training Centre on a two-week general training course. "There are so many fun things to do;" said 13-year-old Langley. We had a drill competition and a sports competition. It is so much fun to have lots and lots of groups of cadets all competing together." The training course, which is free, gives cadets a taste of many of the aspects of the cadet program. Each year, about 1,000 cadets attend the Albert Head CTC between July and August. Langley, who has been a cadet in Qualicum Beach for a year, said he's also enjoying the social aspect of the camp. "I have made new friends and we have a lot in common. I have met people from different places and we are all having fun together." Langley will be attending Kwalikum Secondary School in September. He said he plans to enjoy many more years with the air cadets. 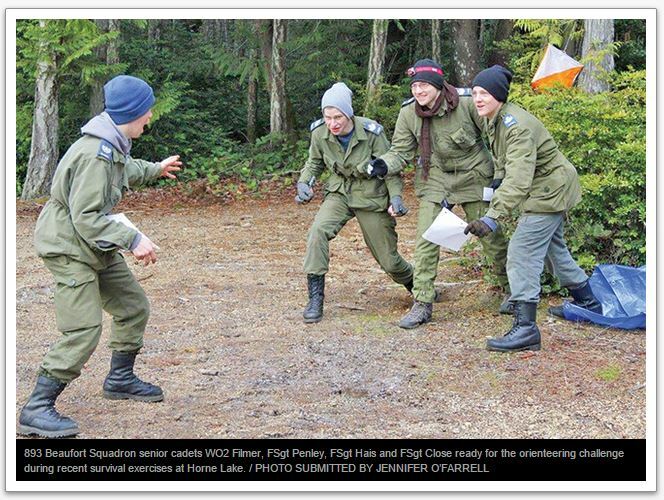 ​More than 3,400 sea, army and air cadets are participating in summer training activities across B.C. this summer. Other cadets have had the opportunity to travel across the country and even overseas. to you for your website. Kind regards, Colin R Fleming, Youth Coordinator RCL Qualicum Beach. 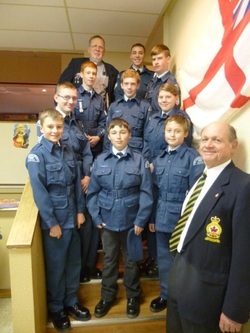 On Friday, October 25th cadets from 893 Beaufort Squadron were in attendance for the kick-off of the 2013 Poppy Campaign at the Qualicum Beach Legion. 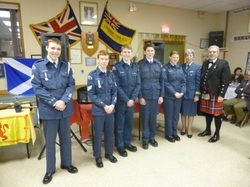 Pictured with the cadets are Brian Kirby (Poppy Chairperson) and Colin Fleming (Youth Programs Liaison). Retired Captain Al Walsh, a representative of the Air Cadet League of B.C., presents Cadet Stephen Olefs the Top Cadet award during the final graduation parade. 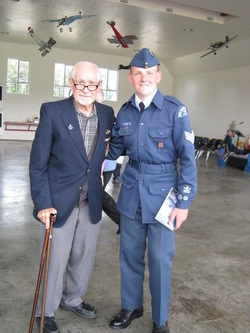 ex-Canadian Spitfire pilot, resident of Qualicum Beach and author of Angels Ten, with Sergeant Alexander Close. Roger Yorke gives pre-flight briefing to WO1 Eric Hiltz and Lt. John Archer, with a thumbs up from Sgt. Andrew Kim and Cpl. Alexander Close. On Sunday September 22nd 2013 the Ladysmith Air Cadet Squadron #257 Parallel hosted a community event to commemorate 70 years of Air Cadets in Ladysmith, British Columbia. 893 Beaufort Squadron Air Cadets were there to participate in the parade and event! 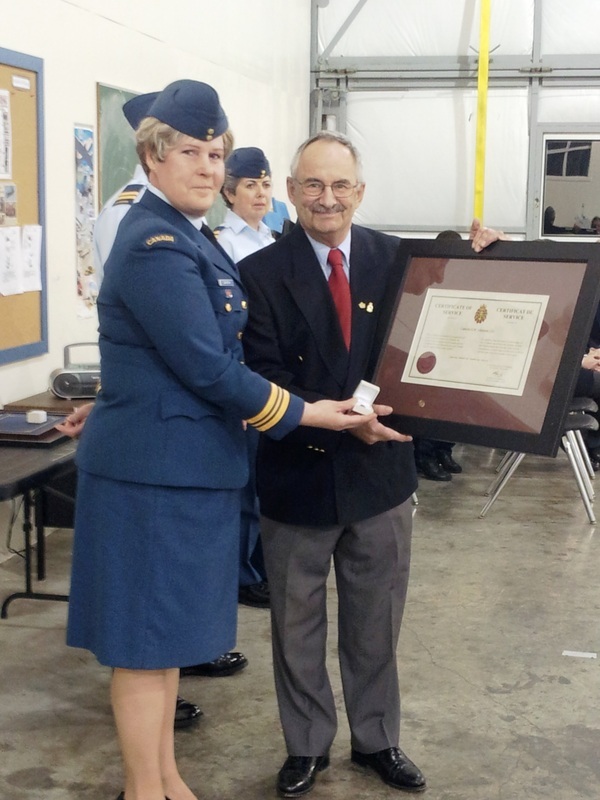 On Jan. 8, the Parksville Legion made a presentation to the local Air Cadets. 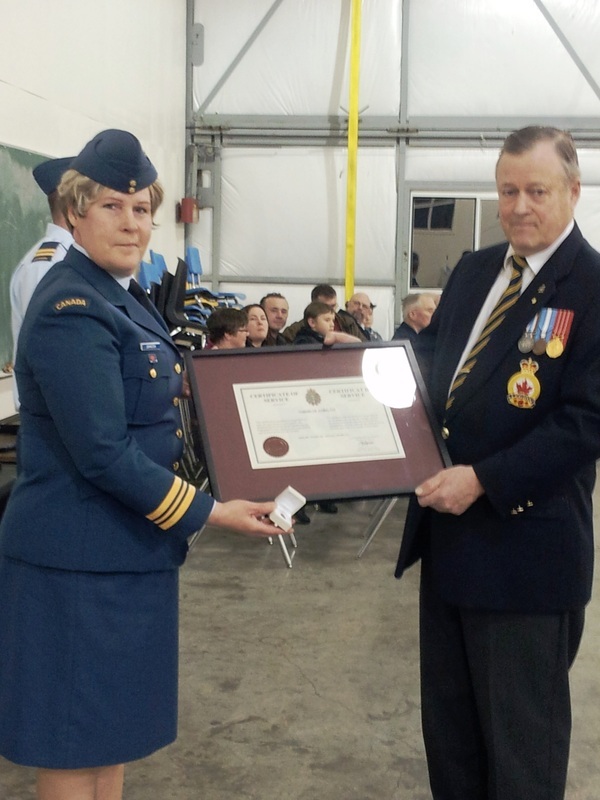 The Royal Canadian Legion, Mount Arrowsmith Branch #49, is a major supporter of the local Air Cadet program. Their donation will go a long way towards activities such as power flying, survival training, biathlon, first aid, range, band, and much more, say the cadets. Pictured above are, from left to right, Capt. Rob Schnider, Capt John Archer, WO1 Christopher Eckert, Tom Lewis of the Legion and Janice Knapp, the chairperson of the 893 Beaufort Squadron Air Cadets sponsoring committee.